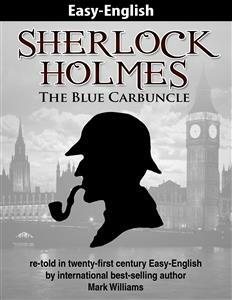 Sherlock Holmes : The Blue Carbuncle - re-told in twenty-first century Easy-English is the first of the Easy-English Classics series from international best-selling author Mark Williams. Many classics of English literature were written in styles of English not commonly used today, and even for those who speak and read modern English fluently the archaic styles, wording and phrases can be challenging. All the more so for those who are late to literacy or those reading English as a second language. The Easy-English Classics series bridges that gap by re-writing the classics in modern-day English for modern-day English readers.